Progressive metal titans Dream Theater have been around since 1985, originally under the name Majesty for a couple of years, before they changed it to Dream Theater and released their debut album “When Dream And Day Unite” in 1989. 23 years and a few lineup changes later, they now have an 11-album catalog under their belts, and have earned the respect and admiration of fans and fellow musicians worldwide. But one album that truly stands out and is still strongly etched in everyone’s minds is the sophomore release “Images And Words”. Today, July 7th 2012 is its 20th anniversary, and the time is apt to take a retrospective look back at it. Even though the debut album had its moments, “Images And Words” was really the first instance of the band hitting their collective stride in terms of musical creativity. This was the first album to feature James LaBrie on vocals, and his performance garnered positive response from fans and critics, which ensured that he went on to become the voice of Dream Theater, and still is to this day. But more than anything else, this album is known for the songwriting genius displayed by the group. They took inspiration from their early influences and channeled them to come up with eight brilliant tunes that were far ahead of their time, and paved the way for progressive heavy music as we know it today. With an opening tune as stellar as “Pull Me Under”, the album is an instant classic from the beginning itself. It’s no surprise that the song still remains as the band’s biggest hit, and continues to be included in their set lists. While it has all the elements that usually decorate Dream Theater’s music, it has an unusually catchy chorus which really draws listeners’ attention immediately. From then on, the album goes from strength to strength. 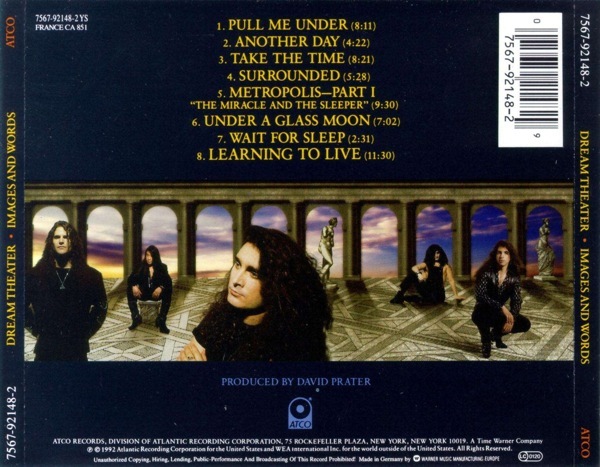 While “Another Day”, “Surrounded” and “Wait For Sleep” strongly showcase LaBrie’s vocal abilities, tunes like “Take The Time”, “Metropolis – Part 1”, “Under A Glass Moon” and “Learning To Live” form the meat of the album and it won’t be an exaggeration to term them as perfect lessons in progressive music, specially when you talk about the epic composition that is “Metropolis”. Quite simply put, it’s prog-metal perfection. The instrumental arrangements throughout the album are undoubtedly spectacular, and there’s just something about the collective sound Mike Portnoy, John Petrucci, John Myung and Kevin Moore created for this album that was distinct and unique in itself. I don’t think even Dream Theater themselves were able to recreate that exact sound for any of their subsequent albums, although the same songwriting approach still very much exists in their compositions. Besides the music, I am particularly fond of the album’s title. Remarkably simple and intuitive, it captures the essence of what the music is aiming to achieve, with “Images” signifying the landscapes painted by the instrumental portions of the music, and “Words” obviously meaning the lyrics that go along with the music. 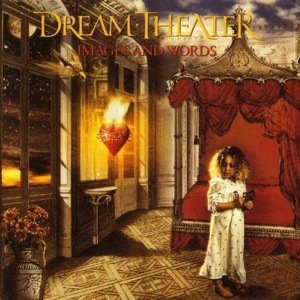 With this album, Dream Theater really showed how a band can push the boundaries of metal and compose something that pleases listeners within the heavy metal circle but is accessible enough to appeal to those outside of it, and that, in my opinion, is the very definition of progressive metal.